Get your favorite character put on a pocket journal just for you — or give one as a gift certificate for the holidays. Take notes with Spock, Harry Potter, Sherlock Holmes, or whoever tickles your fancy. 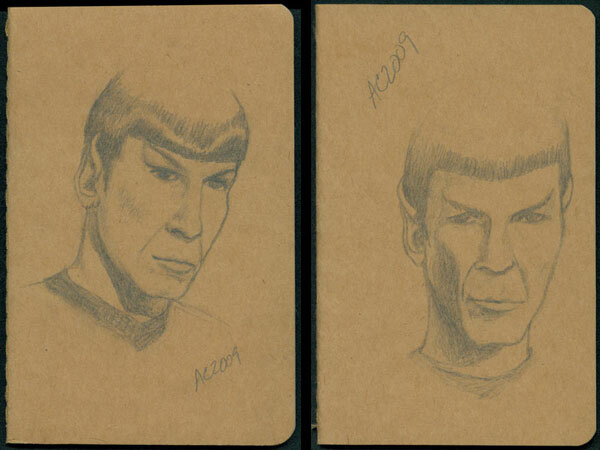 These are available in two styles, the soft pencil sketch or stark Sharpie marker relief, as shown above. One character per journal, please. Cahier Journals sport a heavy-duty kraft brown cardboard cover, with visible thread stitching on the spine. Inside each journal you’ll find acid-free paper pages and a spacious pocket for notes or clippings. Size: 3.5 x 5.5 in. 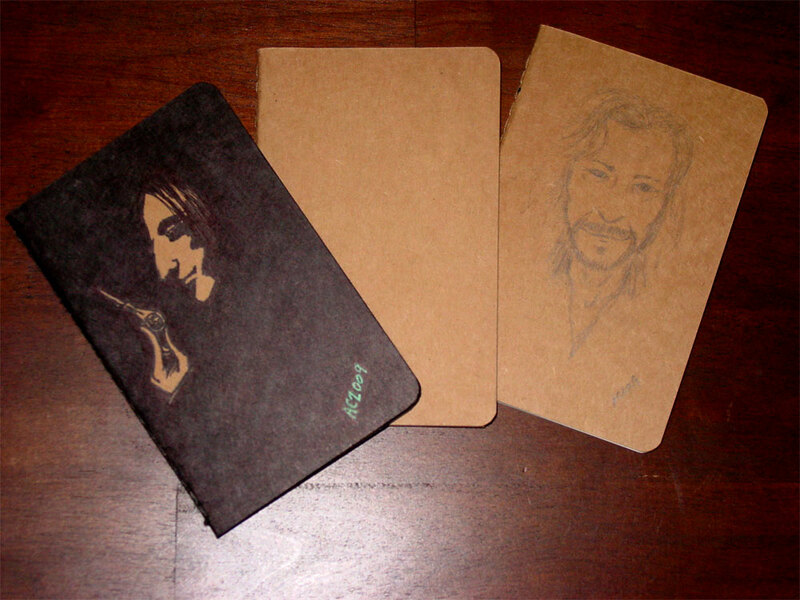 (9 x 14 cm), 64 plain pages each, last 16 sheets detachable. Custom Moleskines – $29 apiece, with free first class shipping. Priority Mail shipping is available, or I can send you a pdf gift certificate if you’d like to give one as a gift! Or read on to see examples of all the ones I’ve done so far (all sold, I’m afraid!). 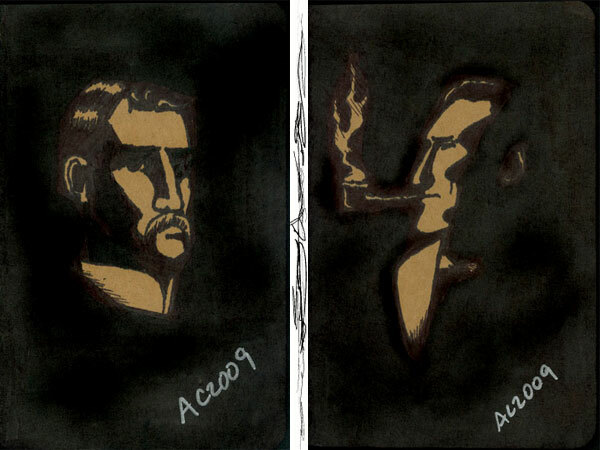 Holmes & Watson, based on the classic illustrations of Sidney Paget. Two different Spocks, each made their way to a different home. 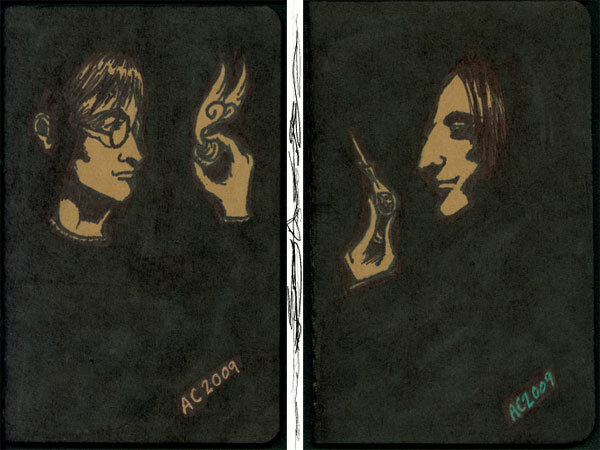 Harry Potter & Severus Snape, based on the books by JK Rowling. 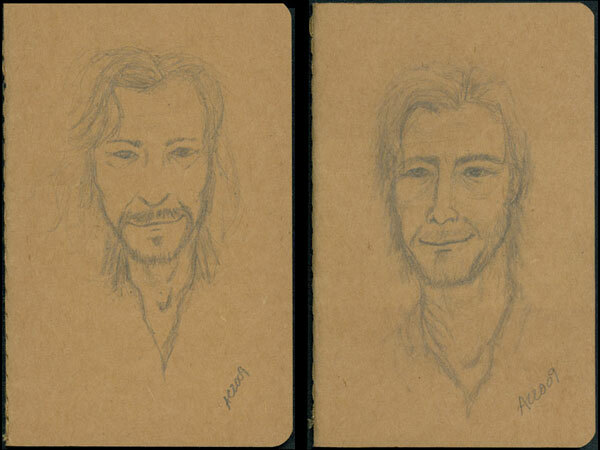 Sirius Black & Remus Lupin, based on the books by JK Rowling. 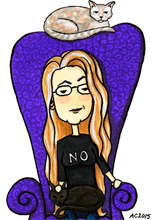 If you’d like to commission one of your own, they’re just $29 each. Feel free to email me if you’d like to discuss it first!